Free! - Pima County (AZ) Public Library (PCPL) has radically shifted its approach toward interacting with youth in violation of the library’s Customer Code of Conduct. Using restorative justice practices, PCPL created a justice board with community partners to facilitate more mindful approaches to incidents involving youth, focusing on creating opportunities for growth and engagement rather than barriers to library access. This is the first of two free webinars with content from programs originally scheduled for the PLA 2018 Conference. The two programs were cancelled due to weather-related travel difficulties that prevented the presenters' arrival in Philadelphia for the conference. The second free webinar, "Your Neighbor is a Writer: Curating a Local E-book Collection," is scheduled for May 29. Separate registration is required for each webinar. Understand the concept of restorative practice and its application to libraries. This webinar is open to everyone interested in gaining a better understanding of the concept of restorative justice and its potential impacts on public libraries’ interactions with youth. 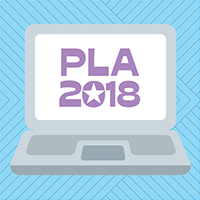 Those who planned to attend the cancelled PLA 2018 program of the same titleare especially encouraged to attend. Em Lane is a young adult services manager for Pima County Public Library. Em has worked in libraries for over a decade, having had the opportunity to serve youth for a majority of their career, earning the Extra Mile for Youth Award in 2015. Em is a founding member of the Restorative Practices for Youth Team and believes that all young library customers deserve to be given respect and opportunities for growth. 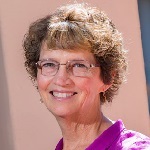 Amy Rusk has been a library services manager with the Pima County Public Library (PCPL) since August of 2015. She supervises managing librarians and works with various PCPL teams. 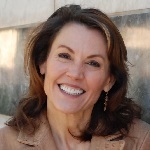 Before that, she spent 23 years with the Tucson Unified School District in the roles of bilingual children’s librarian, high school librarian, co-chair of the Intellectual Freedom committee, and as a library administrator. Mary Sanchez has worked for the Pima County Public Library for over 15 years, and is currently the managing librarian at the Eckstrom-Columbus Library. As a former youth services librarian, Mary feels a strong commitment to providing a safe, respectful, and restorative environment for youth using library services. Her library is currently hosting the Pima County Public Library pilot program for Library Restorative Practices for Youth. 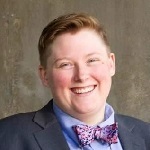 Kelly Wilson has worked for Pima County Public Library for over 10 years, and is currently the managing librarian of the Sam Lena-South Tucson Library and interim manager of the Valencia Library. 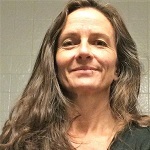 In her role on the Restorative Practices for Youth team, she utilizes 25 years of working with the Special Needs community, alongside her public library experience and applies this knowledge and training to her vision of library services.